This recipe appeared in Everyday Food. I lightened it a bit (but not much). Preheat oven to 350 degrees. 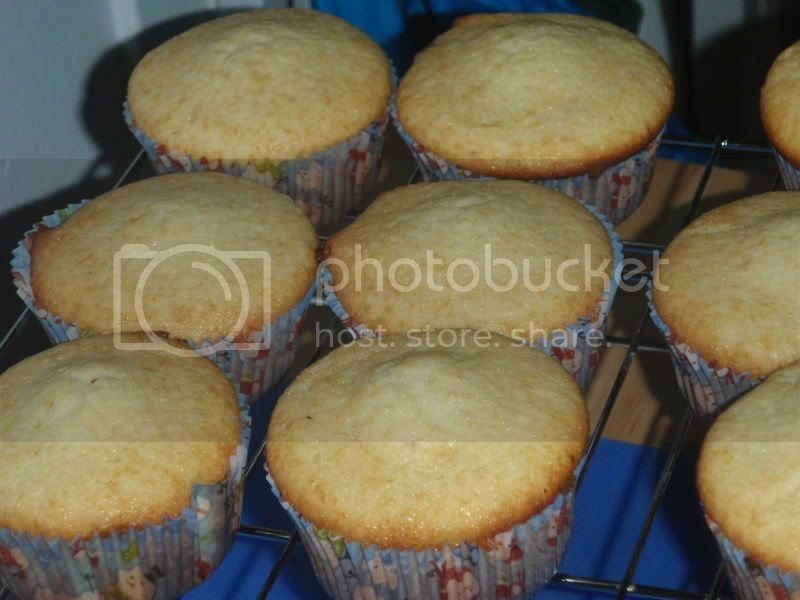 Prepare muffin pan by spraying or using cupcake papers. In mixing bowl, beat butter and sugar until light and fluffy. Add eggs, one at a time, and vanilla. With mixer on low, beat in flour mixture alternating with milk. Pour batter into prepared pan. 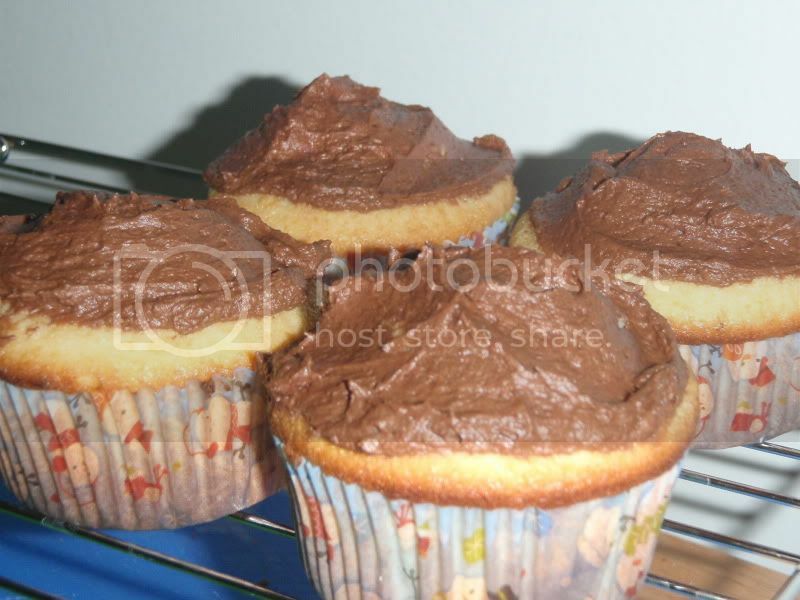 (This recipe is supposed to yield 12 cupcakes, but I only got 11). Bake for 20 minutes until a tooth pick comes out clean. Cool completely on a wire rack. Once cool, use a paring knife to cut a 1x1" crater out of the muffin. Fill hole with 1 tsp preserves and replace with top. Frost, if desired.